Can classical music be "electrifying"? But which music is that, which I just called “classical”? So let me rephrase the question (with a little humour…). I’m talking about a type of music that had its distant origin in the monasteries of the Middle Ages ... Music whose greatest icons died more than two hundred years ago (but will continue, some say, eternally to be its greatest icons) ... Music that, until a while ago, required of its interpreters and audience while in concerts, special clothes (preferably black), discreet behaviour and, above all, immobility from the waist down (with the only exception for the feet of pianists in the exercise of legitimate activities). And where sometimes one can still see upset faces if a newcomer dares applaud, whistle or howl in moments of silence similar to the endings of songs, but which the newcomer soon learns not to be final but merely pauses of sepulchral silence for profound meditation. (In these moments of suspense, uncontrollable coughing is the only tolerated sign of life). So, I repeat the question: can you believe that music conceived this way deserves to be called “electrifying”? The problem with this question is, of course, the widespread presumption that classical music is nothing of the sort. So, if you want to challenge this thought, listen to this CD - and if you can not go to one of the live concerts, at least watch the artists’ videos on YouTube! 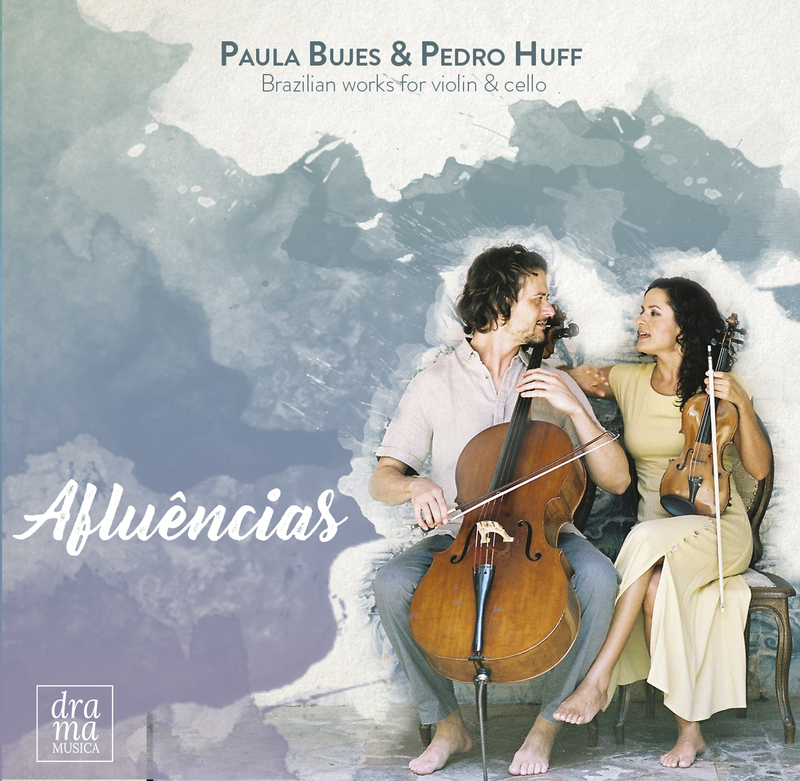 Paula Bujes and Pedro Huff, violin and cello, have shown in their activities precious ability to subvert stereotypes. Born in Rio Grande do Sul, they graduated in Brazil and furthered their studies in the United States, where they gained masters and doctorates in their instruments. Professors from the Music Department of UFPE in Recife, they integrated instantly to the cultural life of the city, whose richness full of armorials, fiddles, mangue-beat and frevos, manifests with vigour in their work. And in this CD, the creativity, surprise and energy that comes out as sparks from their interpretations spread music to anyone who wants to listen. And they give pride to those who, like Paula and Pedro, teach, learn, research and make music in Brazilian universities.